Zulfiqar Ali Bhutto’s appointment of Zia-ul-Haq as chief of army staff changed Pakistan’s destiny forever. Once upon a time in a country called Pakistan, a massively popular prime minister appointed – in what would in hindsight be considered one of his biggest strategic follies by his supporters and even most of his detractors – an unassuming, nondescript, yes-sir type of a general as the chief of army staff. In an unexpected and a rather unpopular move – this prime minister was known for doing what he wanted to, consequences be damned – in which five senior generals were superseded, the awkwardly smiling general, known for his devotion to religion and love for golf, was appointed to the top military position. Considering him non-threatening in the context of the very relevant civilian-military power tussle in Pakistan in which the latter seemed to win most of the time, the prime minister’s singular act set into motion a series of events that changed Pakistan, kind of irrevocably. The date was April 1, 1976. The irony was unmistakable. 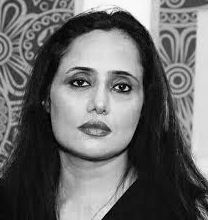 And thus began the saga of the war of Zulfiqar Ali Bhutto and Zia-ul-Haq that culminated in the judicial killing of one in 1977 and ended – or so it was thought – with the mysterious assassination of the other in 1988. Merely a year after his appointment, amidst the noise and allegations by the Pakistan National Alliance of nationwide electoral rigging against Bhutto’s victory, on July 5, 1977, the general staged a midnight coup, ousted Bhutto’s government, put him under house arrest, and assuming the position of the chief martial law administrator, imposed martial law in Pakistan. And in a speech to the nation that he, ostensibly, was protecting from the evil machinations of a cheat of a democratic leader who rigged his way into a colossal electoral victory, the general promised elections in 90 days. The next elections took place in 1985. The elections were party-less. As the country and the ousted Bhutto and other politicians waited for their release, and waited for the promised elections, Zia announced an accountability process of the elected politicians. The starkly titled Disqualification Tribunal disqualified many politicians from contesting elections for seven years, followed by a white paper against Bhutto and his party. Criminal proceedings against Bhutto on conspiracy to murder of a political rival were set into motion. 1977 was catastrophic for many things, some yet to unfold. The trial of Bhutto started in October 1977 and ended on March 8, 1978 when he was charged as guilty by a Supreme Court ruling four to three against him. Bhutto was sentenced to death. To date Zulfiqar Ali Bhutto remains the most popular public leader, whom millions idolised, and wept for in their homes during his captivity. A year after his cleanup Pakistan initiative, Zia coroneted himself with another honour: he became the president of Pakistan. The position had recently become available after the tenure of Fazal Illahi ended. Someone had to serve the country. Apparently, there was only one man suited to do the honour. Pakistan witnessed the spectacle on September 16, 1978. On April 4, 1979, despite requests of clemency from international leaders and hopes and prayers of millions of Pakistanis, amidst condemnation of lawyers and jurists, Zia hanged Bhutto. The act came to be known as the first judicial murder of an elected prime minister. The repercussions of that one event were manifold. In 1980, doing away with Parliament, Zia envisioning his own form of democracy, created the Majlis-e-Shura (consultative council). Since all political parties had been banned in 1978, Zia formed a body consisting of a kind of board of advisors to “assist him in his process of Islamisation.” The number of members was 284, and they were handpicked by the president, to consult with the president and to endorse the decisions of the president. Dissent and debate were not allowed. 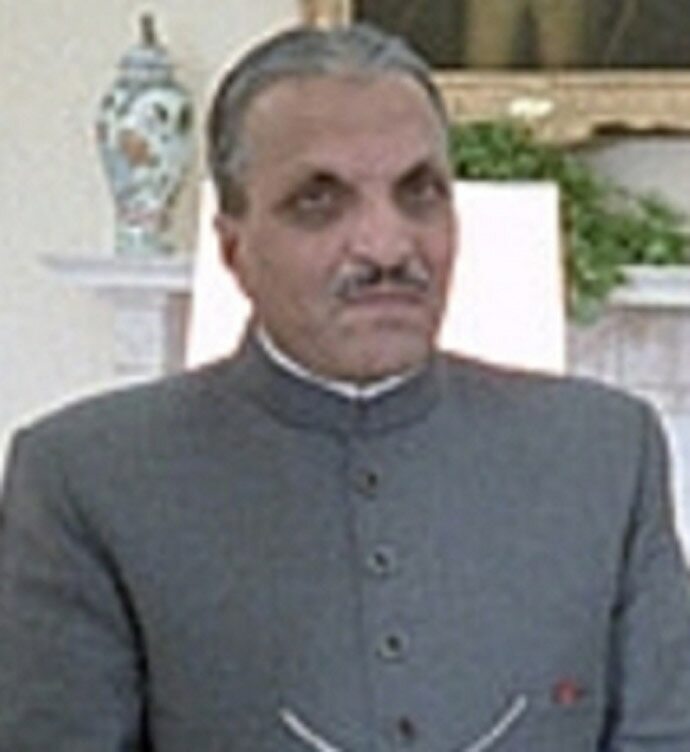 Mian Mohammad Nawaz Sharif – the future three-time prime minister of Pakistan – was one of Zia’s favoured protégés, and understandably, a member of the Shura. He later became the finance minister of Punjab. After the 1985 party-less elections, Zia, partial to making of various amendments in the constitution, oversaw his government pass the Eighth Amendment. That innocuous sounding amendment bestowed absolute power on the president: “...the President may also dissolve the National Assembly in his discretion where, in his opinion...” Pakistan had a new prime minister, Mohammad Khan Junejo. Zia was of course the president. Nawaz Sharif became the chief minister of Punjab in 1985. That was the first of the two times he held the position. On May 1988, Zia, using his presidential power under 58-2(B), dissolved Junejo’s government, for “failing to maintain law and order” in the country. Many reasons are given for Junejo’s dismissal but the real one is said to be a clash of egos. “… the people knew well that … there were no major differences between them; the only thing was that General Zia wanted all powers in his hands,” Ziaul Islam Ansari, a journalist Zia said to like and trust, wrote in his book on Zia. Zia was killed in a plane crash on August 17, 1988. Pakistan, stunned, awaited what was to come. 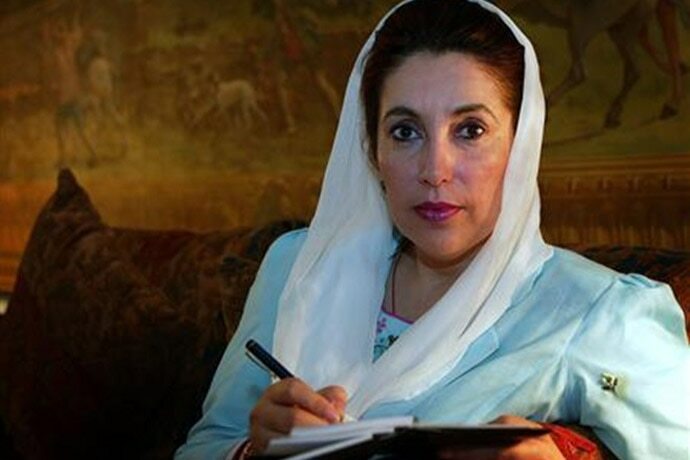 On December 2, 1988, Benazir Bhutto became the first female prime minister of Pakistan, and the first female prime minister of the Muslim world. On August 6, 1990, President Ghulam Ishaq Khan invoking Article 58(2)b dismissed Benazir Bhutto’s first government. The allegation: corruption. On November 6, 1990, Nawaz Sharif became the prime minister of Pakistan. On April 17,1993, President Ghulam Ishaq Khan invoking Article 58(2)b dismissed Prime Minister Nawaz Sharif’s government. The allegations: corruption and “unleashing a reign of terror” against political foes. On October 19, 1993, after her party’s electoral success, Benazir Bhutto became the prime minister for the second time. On November 4, 1996, Farooq Ahmad Khan Leghari invoking 58(2)b dismissed Prime Minister Benazir Bhutto’s government. Leghari was a Pakistan People’s Party (PPP) veteran and one of Zulfiqar Ali Bhutto’s most trusted political comrades. The allegations: corruption and mismanagement. On February 17, 1997, Nawaz Sharif became the prime minister for the second time. General Musharraf after taking over the reins of power, subverting the constitution here and there, ruled Pakistan until 2008, assuming the position of president in 2001. Following Benazir Bhutto’s shockingly tragic assassination on December 27, 2007, the PPP in 2008 defeating Musharraf’s party, the Pakistan Muslim League-Quaid, commonly known as the King’s party, came into power. In May 2012, the Chief Justice of Pakistan Iftikhar Chaudhry disqualified Prime Minister Yousaf Raza Gillani. Gillani on April 26, 2012, had been found guilty of contempt of court for his refusal of compliance with a Supreme Court order to reopen a fraud investigation against President Asif Ali Zardari. On June 5, 2013, Nawaz Sharif became the prime minister of Pakistan for the third time. On July 29, 2017, the Supreme Court of Pakistan using 62(1)(f) disqualified Sharif in the Panama Papers case. Once again, Sharif was no longer the prime minister. On April 13, 2018, the Supreme Court gave the ruling: The disqualification of any member of parliament or a public servant under Article 62 (1)(f) in the future will be “permanent”. Such a person cannot contest elections or become a member of parliament. Nawaz Sharif has a unique record: he is the first prime minister to be elected thrice but has not been able to complete even one term. Pause and rewind: In 2010, the parliament during Zardari’s government passed the 18th Amendment, divesting “the president of all his executive authority making him a ceremonial head of state.” While the PPP government, endorsed by some other parties, wished to remove articles 62 and 63 from the Constitution, it was Nawaz Sharif and his party that opposed the idea. In 2017, serving his third tenure as the elected prime minister of Pakistan, Sharif was removed from the office by the Supreme Court of Pakistan using Article 62(1)(f). In April 2018, the Supreme Court ruled that the disqualification handed down under Article 62 (1)(f) of the Constitution is for life. In 41 years, much changed but nothing really changed. The last two governments are the first two governments to finish their full tenure, but one thing remains unaltered: not one of the 15 prime ministers of Pakistan in its turbulent, bizarre and utterly intriguing 70-year political history has finished his/her full term. Not one. Also read: With court sealing Nawaz Sharif’s career, who will inherit his legacy?